There is nothing worse than getting ready for a dive and realizing that your mask is covered in a thick film. This film is likely residue from your last dive. Who knows how long ago that was? It’s important to clean your dive or snorkel gear every time you use it. Some people may wonder why you have to clean snorkel or dive gear when you’ve just been using it in the water. There are two main reasons that you need to clean all of your gear. The first reason is that your body is covered in oils, these oils coat your gear. The second reason to clean your equipment is to remove all of the mineral deposits that will be left once the salt water or lake water has evaporated. Your body is a wonderful machine. Part of the functioning of that machine is protecting your skin. When you’re in the water, your body will secrete oils to keep your skin protected. These oils can cause the breakdown of materials that you use when snorkeling of our scuba diving, like neoprene or other rubbers. While the breakdown of plastics and rubbers caused by body oils can take time, it will happen eventually. In addition to causing the materials to degrade your natural body oils can accumulate within the material and cause smells. There is nothing worse than smelly equipment. Whether you're swimming in saltwater or freshwater, natural water contains minerals as well as plenty of bacteria. In addition to bacteria, there are other microscopic organisms and life forms that you may not even be aware of. These miniature beings are in the water that permeates your wetsuit, coats your goggles, and gets into your booties. 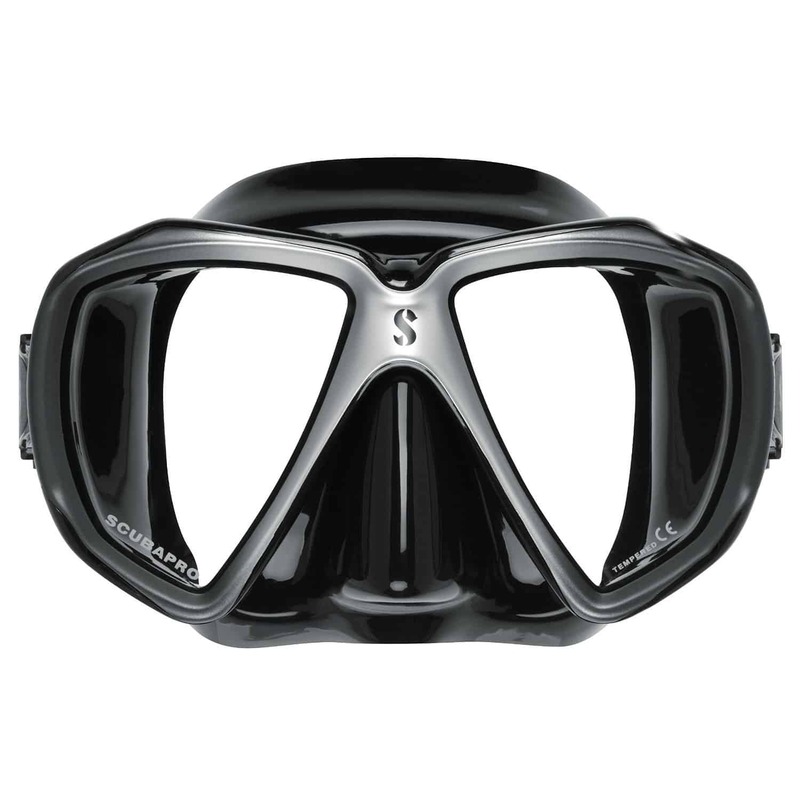 Cleaning your snorkel and scuba gear is very important to avoid things like mineral deposits especially when swimming in salt water. Mineral deposits can occur in vital equipment especially in your first stage regulator. If you don’t thoroughly clean the salt water off of your equipment, you could see corrosion of vital elements in your buoyancy control vest and regulator. Have you ever sat next to someone on the dive boat who’s had stinky gear? What’s most likely happened is they neglected to clean their equipment, and the result is bacteria, and other living matter has begun to decay within the open spaces of their wetsuit and other equipment. It’s not a smell that you’re likely to forget and probably not one that you want happening inside of your dive bag. What Can I Use To Clean My Gear? There are plenty of fancy cleaners available for you to purchase, but some of the most inexpensive cleaners that are widely used are liquid dish detergents. This is a gentle antibacterial dish detergent that has the ability to kill any bacteria as well as remove any oils that have accumulated on your equipment. You would be surprised how effective a little bit of dish detergent can be when cleaning dive gear. The first step in cleaning any diver scuba equipment is to rinse off your gear thoroughly. A slight amount of pressure when rinsing your equipment can be good. However, you don’t want to use something like a pressure washer. Too much pressure coming out of the hose can cause damage to delicate dive and scuba equipment. The main purpose of this step is to get any large debris or dirt off of your equipment. Once you’ve thoroughly rinsed your equipment, you are going to want to soak your gear in lukewarm fresh water. Soaking your gear should last approximately 15 minutes. This will allow any accumulated solids like salts or other minerals to begin to break up in the freshwater. After you have pre-soaked your equipment, you want to wash any equipment gently with liquid dish soap. If you have the option, you can mix liquid dish soap into a large container of water and allow your gear to soak for 15 - 30 minutes in the liquid dish soap. This will allow the soap to break up any oils or solids that are stuck in your gear. If there is no space available for you to soak your gear in the soap then simply massage the soap gently over your gear. If you choose to soak your gear in a dish detergent solution make sure you do not use too much soap. When you rinse out your gear, you want to be able to rinse it so that there is no soap left on your equipment. If you use too much dish detergent when soaking your gear, it will be very difficult to rinse it, so the water runs clean. This is really a case where less is more. You’re going to want to rinse thoroughly every piece of equipment that you have washed. Once you have rinsed it so that the water is running clear, you will hang your equipment to dry. You want to avoid hanging any equipment in direct sunlight as this can cause damage to sensitive scuba and snorkel gear like neoprene wetsuits. 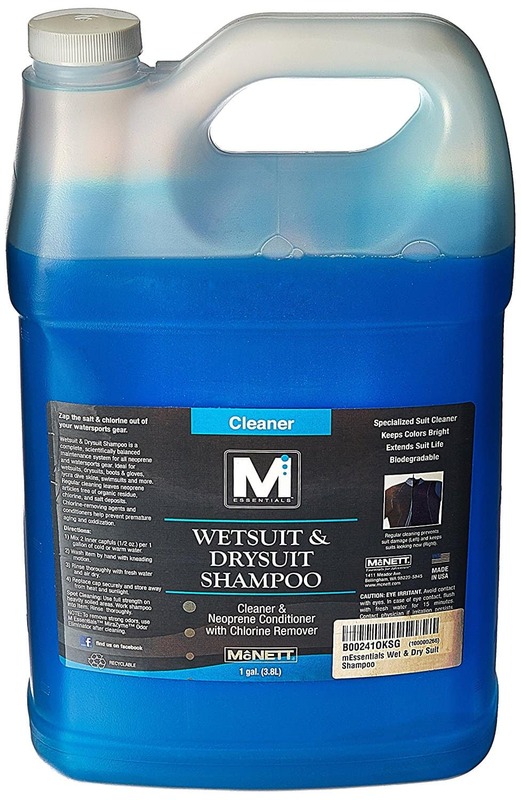 It is recommended that wetsuits are hung inside out to dry to preserve the integrity of the wetsuit material. Some people recommend that you rinse the inside of your buoyancy control vest. If you have properly soaked and rinsed all of your other equipment this may not be necessary. It may be a personal preference. If you do decide to rinse out your BCD’s air bladders, make sure you get all of the water out to avoid any buildup of mold or other bacteria. Cleaning your scuba and dive gear really is very simple. It doesn’t require any fancy equipment or any specialized cleaners. If you take the time to clean your gear after every use you should be able to maintain clean, good smelling, properly functioning equipment throughout your snorkel or scuba career.